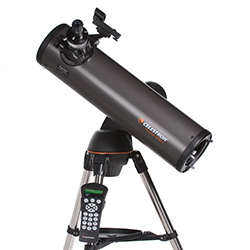 High quality 102mm (4") refractor telescope with multi-coated glass optics. 212x more light gathering power than the human eye. 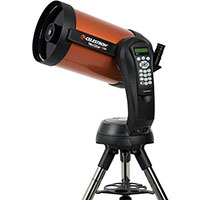 Celestrons iconic orange tube design is updated with all the latest features to provide the best stargazing experience for beginners and experienced observers alike. 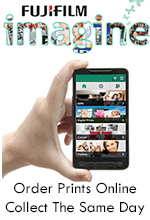 SkyAlign technology gets your telescope aligned and ready to observe in minutes. 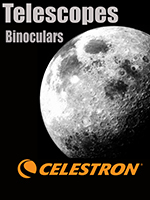 Even if youre unfamiliar with the night sky, you can easily align your telescope on any three bright objects. 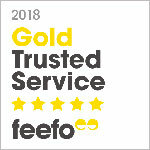 The worlds most beloved telescope! 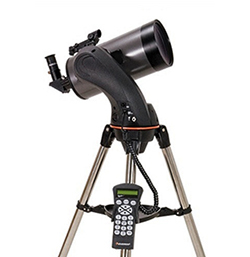 The classic, 8-inch Schmidt-Cassegrain revolutionized amateur astronomy in the 1970s. 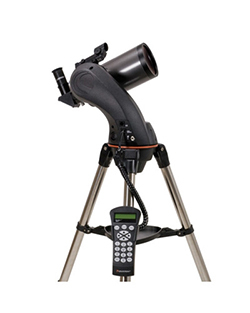 Now, the iconic orange tube design is updated with all the latest features to provide the best stargazing experience for beginners and experienced observers alike.